Many of them are drawn back, time and again, in a determined effort to conquer this amazing course. Few succeed, but playing Monte Mayor is an experience no one will ever forget. It is widely acknowledged as one of Europe’s premier golfing experiences. Created by the renowned course designer José Gancedo, this golf course is probably unlike any you have ever played before. Nestled in a natural amphitheatre created by the Serrania de Ronda Mountains, the greens have not been shaped by bulldozers, but by the wild Andalusian nature. 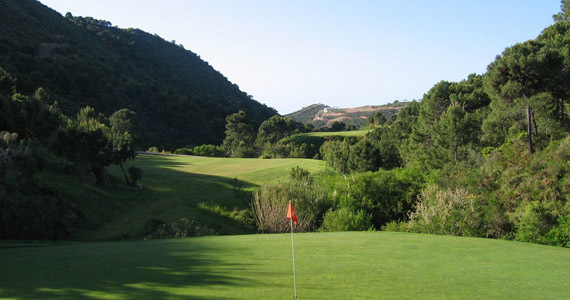 With its exciting fairway that winds through dramatic gullies, ravines and streams, Monte Mayor offers a superb challenge to even the most experienced golfers.